What can you say about Tech N9ne? He has become one of the biggest names in underground hip hop. He has some fast rhyming skills and interesting word play. His beats can be tough, others are just real damn catchy. 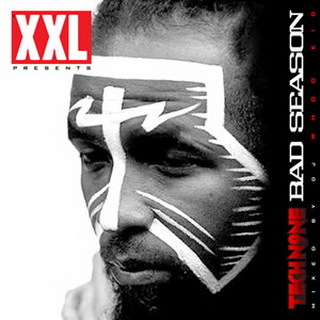 Tech N9ne's new mixtape called Bad Season is hosted by DJ Whoo Kid and DJ Scream. There are some pretty dope beats, and with Tech's flow only makes this a worthy download. Almost every track is a grade A track. You can download the mixtape for free here. Listen to the entire thing below.